A dresser that makes your world go ‘round’! The Olson dresser with a mirror rotates. 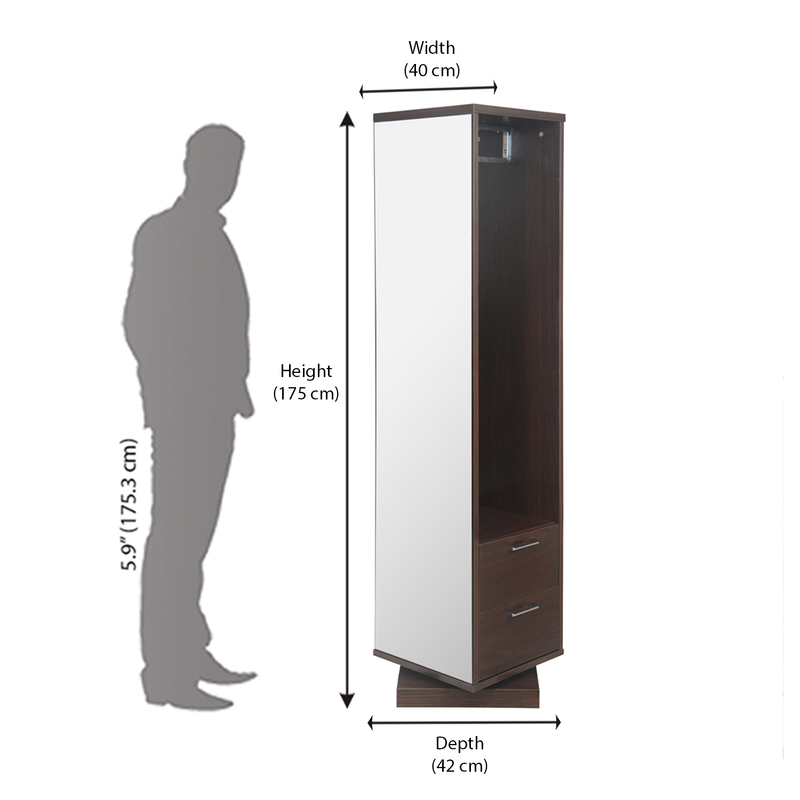 Part mirror, part dresser, part clothes rack, it makes your dressing experience fun and convenient. The lean silhouette will sit well in any corner in the bedroom or in the walk-in closet, too. With a walnut finish, the wooden dresser has two spacious drawers and roomy hanger space. Make it a part of your life and enjoy dressing up!